FORT WAYNE, IN - It&apos;s summer and it&apos;s time to start helping your readers plan a summer getaway or a quick weekend trip! Why not help them plan a nearby getaway to a place that provides the joy of leaving town without the hassle and expense of travel: Fort Wayne, Indiana! There&apos;s no shortage of fun family activities in Fort Wayne! Plan an affordable getaway weekend to Fort Wayne, IN and explore an unforgettable family fun destination! From new zoo babies and the newly renovated Australian Adventure, there is so much that awaits your readers at the Fort Wayne Children&apos;s Zoo. 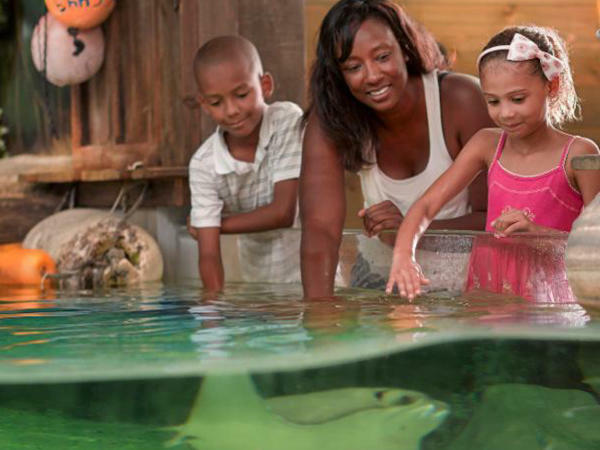 You can now pet a stingray, splash in the Outback Springs play stream, and explore the new reptile house. Help your readers discover a new family fun experience or rediscover their favorite Fort Wayne attraction. This year you can get stuck into the first annual Hobnobben Film Festival or discover new gear at Sweetwater&apos;s Gearfest. Interested in visiting to see these events first-hand? Let us know! Your readers will also enjoy signature Fort Wayne festivals like the Three Rivers Festival, Greekfest, and Germanfest to name a few! 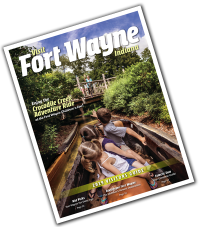 Once your readers thoroughly understand Fort Wayne&apos;s charm, share what makes Fort Wayne a great overall destination for families - the extra events and attractions like a Fort Wayne TinCaps baseball game or a trip to Science Central, the Botanical Conservatory, or the Fort Wayne Museum of Art! In Fort Wayne, you can beat the heat at over 7 different splash pads, or enjoy a kayak down one of the 3 three rivers, a bike ride along the Rivergreenway, or a tour of some of the city! Contact us for more information so that we can help you share it with your readers! Send me a ready-to-run article and photos! Send me information and photos! For more information, click here or call us at (260) 424-3700 or 1-800-767-7752.